I really enjoy picking favourites from each month's Picture Of The Week selections, something I should be doing on a monthly basis. You'll notice though that my previous blog was last November, meaning I had a full 11 months to flick through - a real treat, if slightly embarrassing! So, in a desperate attempt to prevent my UKAR blog from becoming an annual endeavour I humbly present my favourites. 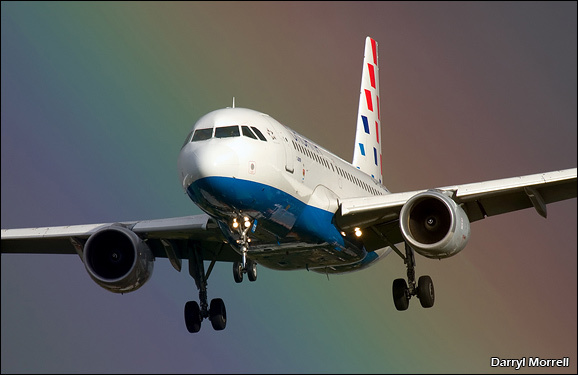 I'm not normally a civvy man but Darryl Morrell's capture of a Croatian Airlines A320 is a beauty. It's the kind of light I crave for at airshows and rarely get - at least until after the flying! December's pic had to be a Harrier shot with the type's all too sudden retirement taking place that month. There was a fantastic selection in the POTW50 but this one from Tom Hill stood out as an important record from the enthusiast's point of view. The pick of the bunch in January was this effort by Laurie Hughes, simply because it made me go "wow"! Plus, anyone willing to sit on a Welsh hillside in the depths of winter on the off chance of something to shoot deserves acclaim! 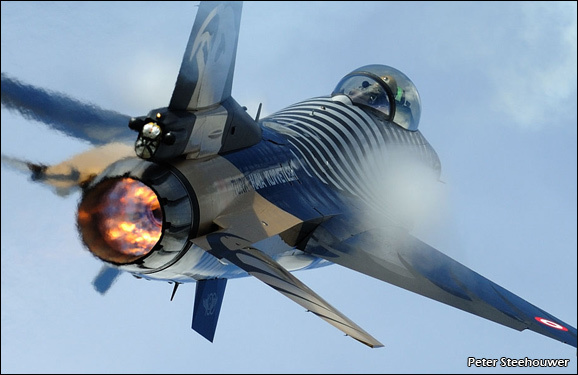 I think we all like to see pictures of aircraft doing the job for which they were designed. 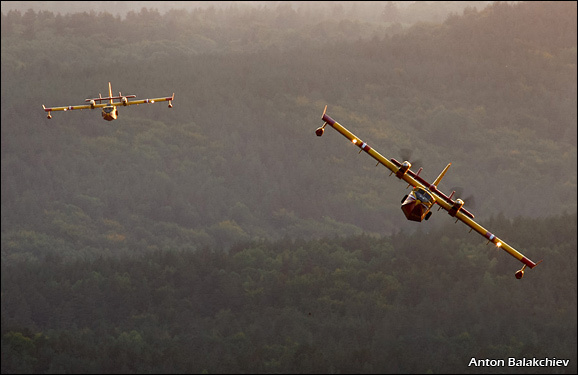 Anton Balakchiev's shot of two CL-415s in action over Bulgaria is just that and an evocative one at that. Another 'wow!' shot from Brandon Farris and, whilst there were some stunners in the March selection, including the moon in your composition just tips the balance in my opinion! 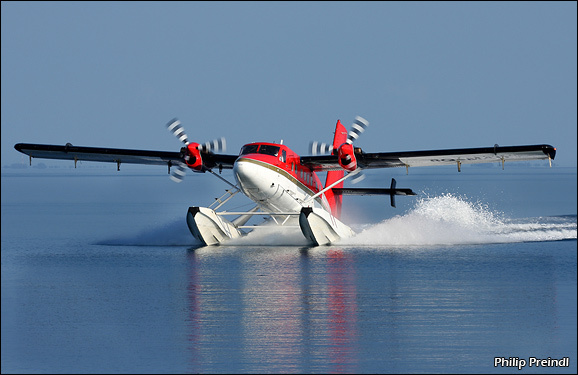 Philip Preindl describes his own beautiful shot of a Twin Otter in the Maldives simply as 'early morning arrival'. I like to picture a dedicated aviation photographer rising early and shunning the pool for a chance to shoot some float plane action in ideal light, great effort! 2011 is the Hunter's 60th of course and I had to get a shot of the beast into this selection. That's to take nothing away from Terry Beales photo though, this is simply gorgeous. 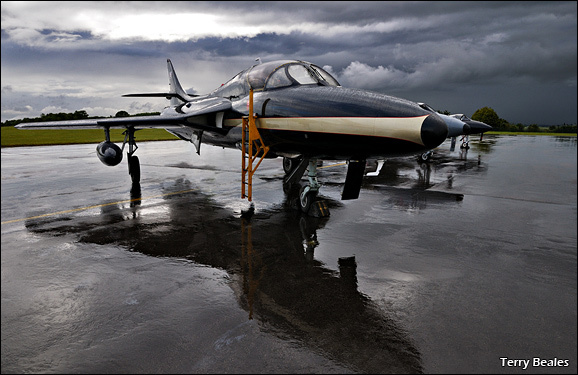 The wide angle lens and aspect show off the familiar lines of the jet in such an original way. July's offerings were of course full of the best action from the airshow season but this one from Peter Steehouwer stood out. Not only can you make out the green glow from the HUD but also the minicam to the left of Maj Keles' helmet that was recording some stunning material of the Solo Turk F-16 display - check out the RIAT and Turkey programmes for confirmation! 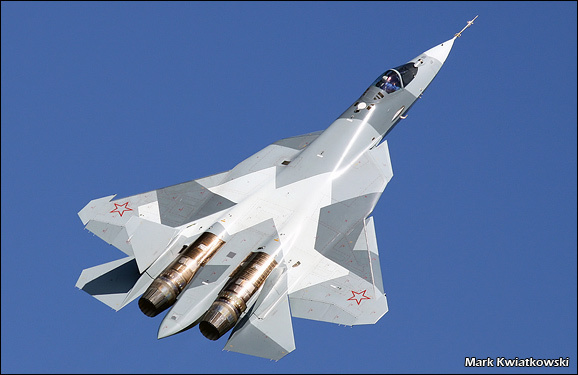 This great shot of the PAK-FA is my favourite from August in large part out of jealousy! I came very close to visiting MAKS myself this year but narrowly missed out. Mark Kwiatkowski made the effort to get to the show and returned with some excellent results, surely worth it for this shot alone? Sunset shows can be challenging to shoot well but Andrzej Rogucki has certainly made the most of the Sanicole event. This one's a real 'season end' shot and I hope a fitting choice from September's picture of the week selection. Well done to all the winners and all those who were selected by the UKAR team for picture of the week over the 11 months - you made it difficult selecting just one winner! I hope the winners enjoy their chosen DVD from the PlanesTV range and look forward to taking a look at this month's selection in due course, with a bit of luck before September next year! ...and what a whole lot of fun I've had flicking through the last 5 months of UKAR's picture of the week selections. If for no other reason than the warming effect a beautifully lit Spitfire shot has on a chilly November morning! 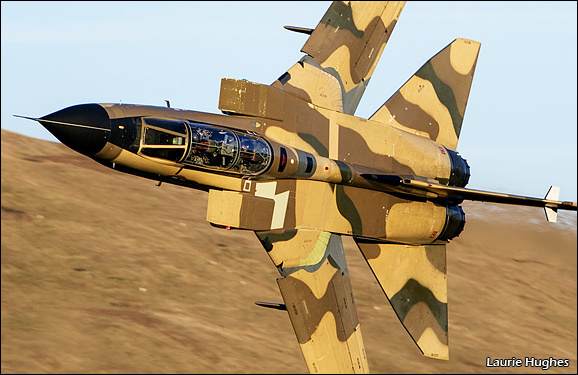 Back in the June selection I found myself picking two of Neil Jones' photos, the first to catch my eye was the Dutch F-16 display aircraft but it was the A-10 air-to-air that sealed the deal. 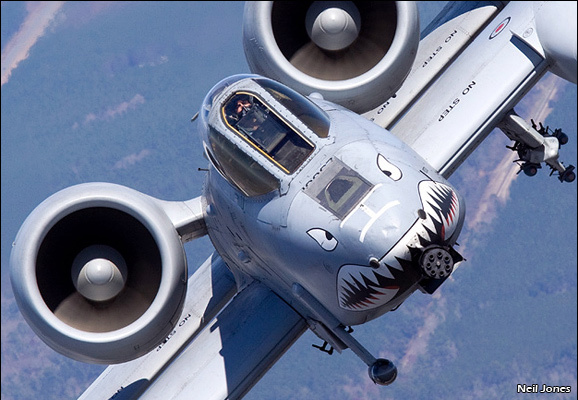 Surely no other aircraft looks as good in a head-on shot? Some say ugly, others think good looking. Either way, it's a stunning photo, and wins Neil a prize! I've stuck to airshows from now on and I'm afraid been a little Supermarine-centric. July's picture of the month for me was this stunner from Dean Feltimo showing John Beattie with the top down in Kennet aviation's Seafire. 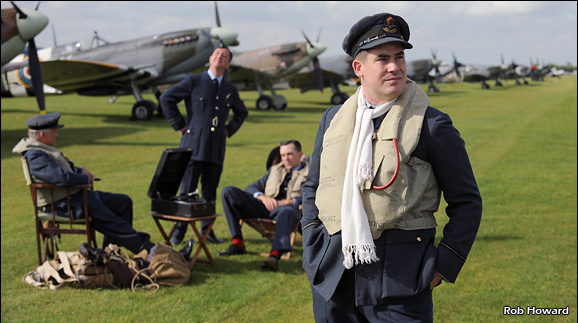 John's usual calm demeanour leaves me wondering if he might have been finishing off the Sunday crossword in this shot from Flying Legends. Open top, wind in the hair fun from this summer's Flying Legends Airshow. I said I enjoyed the warming effect of these photos from the season past and this one's red-hot. I swear no other airshow venue gets light like this, Shuttleworth really is a special place and Keith Meachem's depiction of MH434 at the evening show in August puts you right there. I was also delighted to read that the weatherman had predicted opposite conditions. 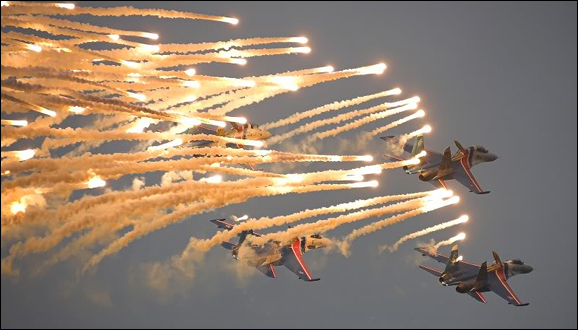 When it comes to airshows I agree Keith: "never listen to the weather man"!, you never know your luck. 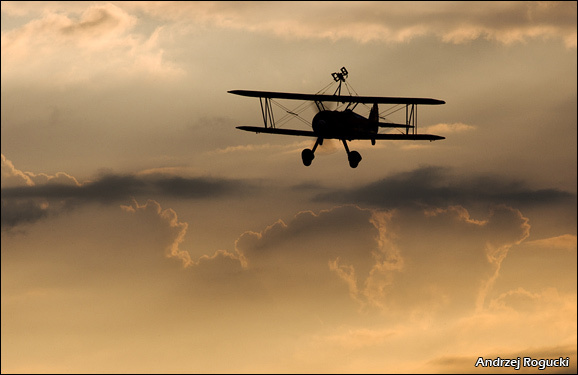 Old Warden is a special place, and this special shot earns Keith a PlanesTV DVD! 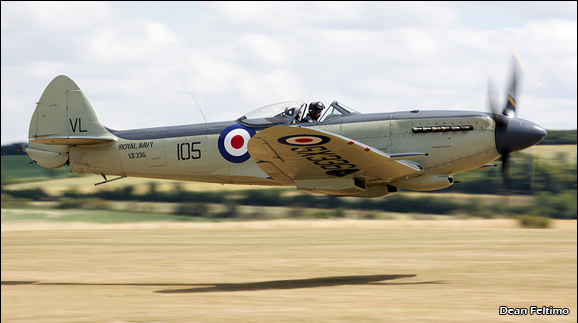 September's winner had to br from Duxford's Battle of Britain Airshow, and Rob's shot takes the honours. I finish my selection with another British classic but in foreign skies. Gerard Griessel's wonderful thread is a fine "tribute to Thunder City", as he quite rightly puts it. I'm sure I'm not alone in being very envious of the opportunity to shoot such photos. 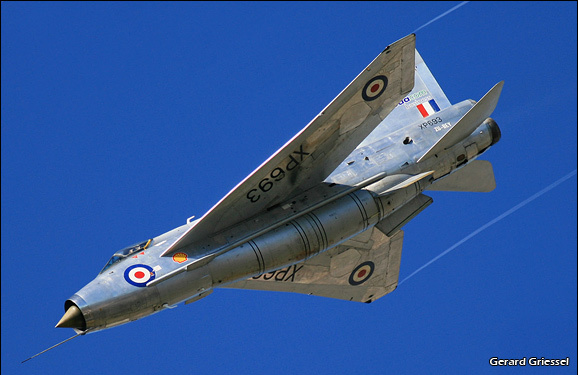 An opportunity it seems we may not get again - a quick mention then for the Anglo American Lightning Organisation, who deserve the support of all Lightning fans! A beautiful shot showing one of the classic aircraft from Thunder City takes October's prize. Well done to all the winners who each win a PlanesTV DVD of their choice. A few weeks into the season and we've already covered 7 events in 4 different countries - this is going to be a busy year! We've spent May and the early part of June getting ourselves back into the airshow routine and leaping in at the deep end with a busy production schedule. I've already got 3 standalone airshow programmes on the machines, not to mention various news pieces for PlanesTV.com. So far so good though and we've had a good response to our highlights videos. The latest one from Cosford features an interview with Flt Lt Steve Kenworthy who's brining the Harrier back to the airshow circuit for the first time since 2006. The highlight of the season so far for me was 4 days at ILA Berlin. An enjoyable first visit for PlanesTV and an opportunity to bag a few new types including the Me262 and a very entertaining A400m display, given the relatively short space of time the guys have had to put a routine together. The video below was the first display on the first day of ILA and finding a good recording location proved a little tricky. We found our primary location inaccessible during the A400m due to its proximity to Angela Merkel's Super Puma who stuck around for the display after opening the show. This left us scampering for a spot in the chalets. The result was far from ideal and day two's material is much better - keep an eye out for the Berlin Highlights video next week for that. May's photography selection threw up a bit of a dilemma for me as my favourite shot was Kevin Jackson's air-to-air with the Yak-18s, but I was fortunate enough to join Kevin on that flight and I'd hate to stir up cries of favouritism. May was a double-winning month with Kevin Jackson taking a DVD for this photograph. I've therefore decided to pick two this month and coming a close second is Rob Leigh with a wonderful shot of the Shuttleworth Collection's Pup. It's a really crisp depiction of the aircraft and a refreshing vantage point for such a well photographed (in both senses) location. 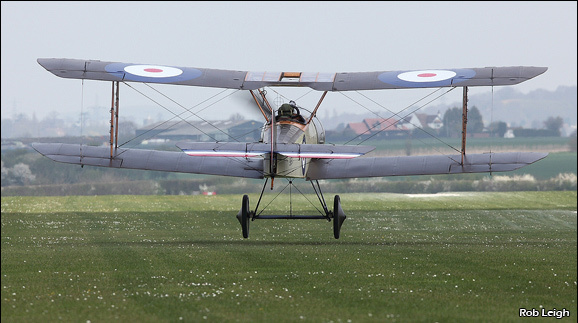 And Rob Leigh also collects a prize for this shot from the Shuttleworth Collection's Spring training week. The 2010 season started for PlanesTV at Abingdon Air and Country Show last weekend. I spent the week running up to the show down the road in the Cotswolds filming with AeroSuperBatics for a promotional video I'm producing for the team. This left the rest of the team back in Lincolnshire preparing all the merchandising kit for the show while I enjoyed myself buzzing about the countryside shooting air-to-air with the two best looking birds on the circuit. Someone's got to do it! Breitling Wingwalkers Sarah 'Sahara' Tanner and Danielle 'Bird' Hughes. I really enjoy the Abingdon show. I used to live in Oxford and take great pleasure in dragging the guys to my favourite Indian Restaurant each year! 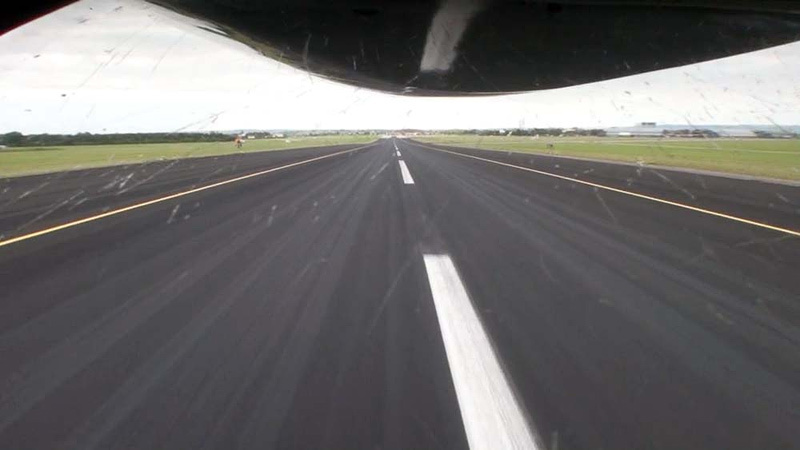 The show was slightly marred by the bizarre restriction on the use of the runway for fixed wing aircraft. It was reassuring to hear that far from being demoralised by the decision, Neil and the team were boosted by the resulting outpouring of goodwill and encouragement from far and wide. We were using Abingdon as a test of a few new systems, most interestingly was a live mix and internet stream of the event. This seemed to work well with over 100 viewers after a last minute facebook message and 'tweet'. The accompanying chat window was dominated by banter from UKARians, which was great to see! April's pic of the week selection is another fantastic collection. I've selected Rick Ingham's Chinook capture as my favourite though. Well done to whoever selected that picture too - easily missed in Rick's thread. The contrast created by the bright chalk dust gives the aircraft an epic look that Ridley Scott would be proud of! 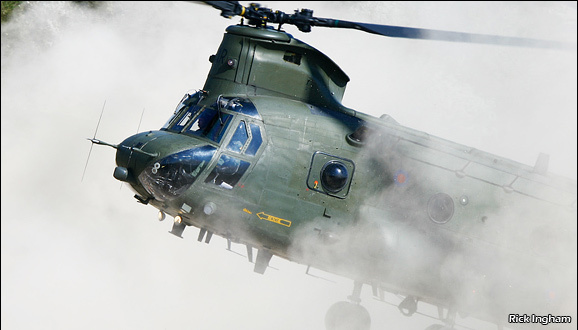 Rick becomes our ninth DVD winner with this shot of a Chinook "brown out" training in April. I'm playing catch up again with the week in pictures competition winners... the standards are high as usual and it's not easy! 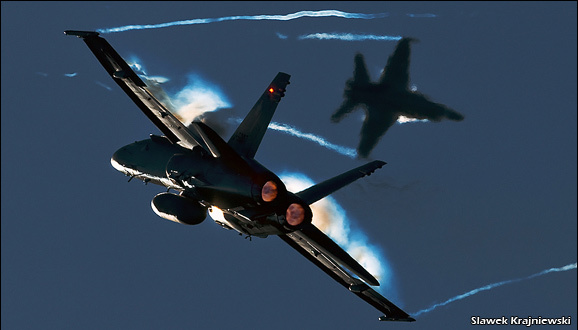 My pick of February is Hesja's brilliant image of two Swiss F18's climbing into the blue at Axalp. I remember being struck by his image thread when I first saw them and they haven't lost any impact. Slawek has won a lot of fans on the UKAR forums for his stunning photography, and now he's won a prize too! 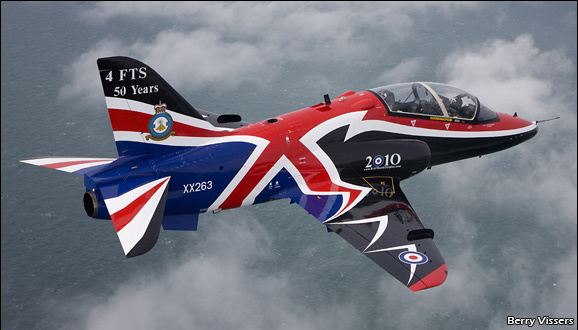 There's going to be some fantastic colour schemes knocking about in 2010 none better than the RAF's display Hawk. Berry Vissers' air-to-air of XX263 show's off the scheme really well, which makes it a winner in my book. 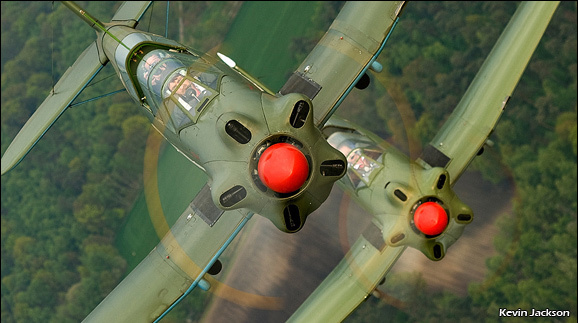 Berry Vissers also claims a DVD of his choice for this fabulous shot of the 2010 Display Hawk. The early part of the year offers staff at PlanesTV a chance of a break after a non-stop season that starts in May and runs through to the Christmas rush. What a rush it was last year - our busiest ever, by far. Last year I managed to get away and take in some aviation sights in the cold East, but somehow I've pulled the short straw in 2010 and while my colleagues enjoy breaks in Europe and Australia I'm left holding fort and working on our 'European Airshows' and 'Vulcan Interactive' programmes. European Airshows is a new title for us featuring 6 of the continent's finest aviation events in 2009. I hope it's one that will prove popular and become an annual production for us - let me know which foreign events you'd like to see PlanesTV cover on our UKAR thread. Following on from some really positive customer feedback about our 'Vulcan Effect' programme, I'm very excited about 'Vulcan Interactive'. Based on material recorded on the aircraft's last flight in 2009 the DVD and Blu-ray will take an in-depth look onboard and behind the scenes of a display flight. We'll shortly be recording voiceovers with Crew Chief Taff Stone and Pilot Kev Rumens to provide first hand perspectives from start-up to shut down. The viewer will be able to select an alternative view throughout the flight, switching between onboard and ground cameras and even a view from another aircraft flying in formation with XH558 on her return to base. We've also been part of Vulcan's recent survival appeal producing this video aimed at getting viewers to the Vulcan to the Sky Trust website. I really hope that we'll have the opportunity to record more of 558's flying future, but things really do look bleak for the Trust - I'm sure I won't be the only one regularly checking on progress at vulcantothesky.org. I'm playing catch up today, selecting my favourite pictures from the previous two months offerings of UKAR's picture of the week feature. 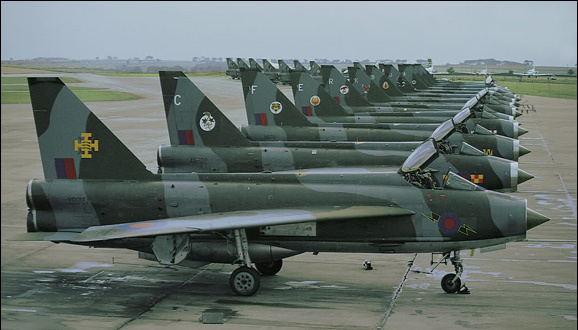 From December I couldn't resist Fred Martin's mouth watering shot of 21 Lightnings lined up at RAF Binbrook. It's not a scene I'm old enough to have enjoyed myself, but since PlanesTV is based at the former fighter station it's an evocative image that reminds us of the significance the site once had. January's offerings include some fantastic air-to-air shots from around the world. Pick of the bunch for me is Dirk Jan de Ridder's shot of a Romanian Mig-21 going ballistic! 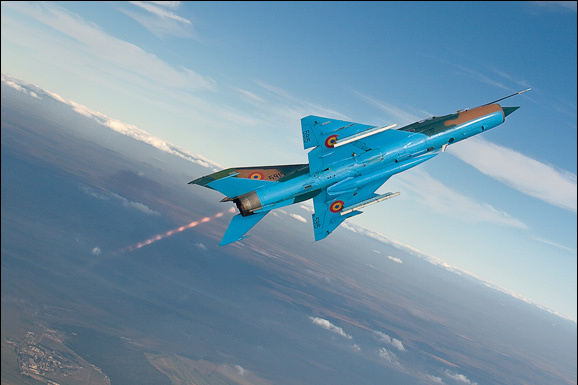 ...as does Dirk Jan de Ridder for his shot of a Romanian MiG-21. 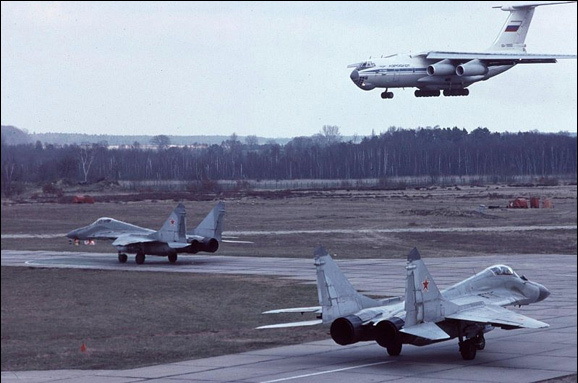 Winter has brought some fantastic golden oldie threads to UKAR, none more so than Mad Dan's look at Russian MiG-29s withdrawing from East Germany in 1994. Especially so when you here the lengths he went to to get this classic shot of the final days of the Russian presence in the country. 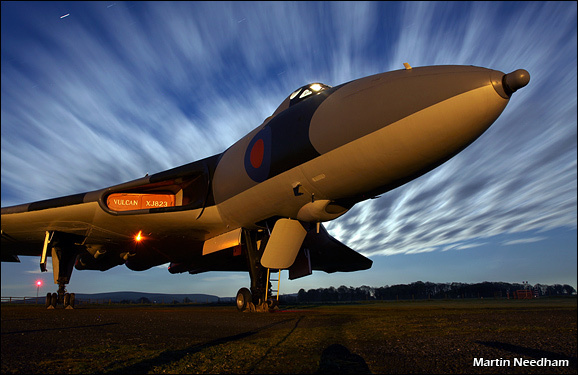 As picture of the month winner Lindsey is entitled to choose a free DVD from the PlanesTV catalogue. With our most productive season to-date completed, there's a bigger than ever selection to choose from and hopefully something of interest! Our last public event was the fantastic North Weald Hurricane meet on 25 October which we were recording for our British Airshows 2009 DVD. To see 4 Hurricanes alive and well was fantastic and I'm tempted to pick Dan's arty shot of HAC's machine at the event as competition winner this month. 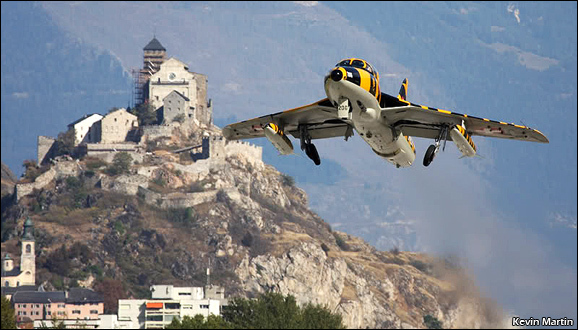 Unfortunately for Dan another Hawker product caught my eye - Kevin Martin's Hunter shot climbing away from a Swiss Chateau is a beauty! Congratulations Kevin. October's winning photo, which earns Kevin a DVD of his choice, courtesy of PlanesTV! 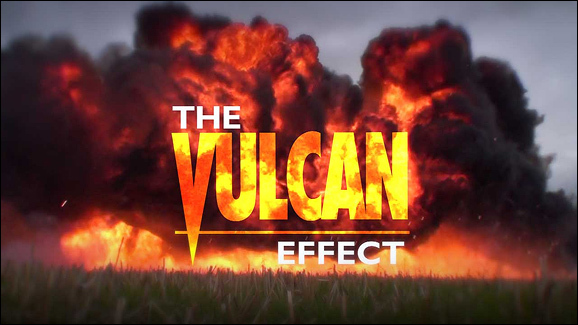 PlanesTV's 'Vulcan Effect' DVD is on sale soon. Click the image above to view the trailer. With over 400 individual displays in the can, recorded at over thirty events, one of the challenges of production is managing that data. With 3.5 terabytes of rushes to deal with and up to 3 edit stations needing access to them at any one time a network storage device is essential and we use a 6-bay Raided system (whatever that means!) which ensures the data is protected from drive failure. So it's now all hands to the pump as we endeavour to hit our final production deadlines of the year. With only a few more days out with the cameras on the agenda, we now glue ourselves to computer screens for hours on end and try to remain excited about the stunning aviation feasts we've recorded throughout the year. Shouldn't be too hard! 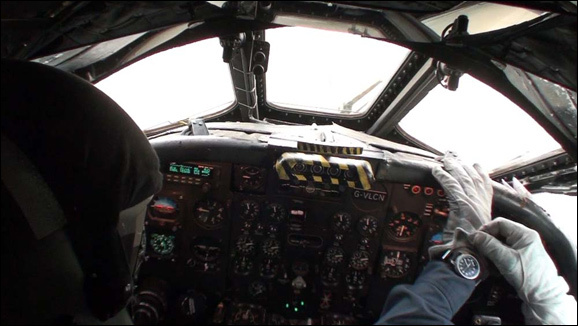 Does it get any better than an air-to-air shoot with the Vulcan from the front seat of an Extra? I'll run through the fun in a moment, first its competition time. There's a distinctly autumnal feel to some of September's Week In Pictures and it's the twilight shots that I've really enjoyed this month. 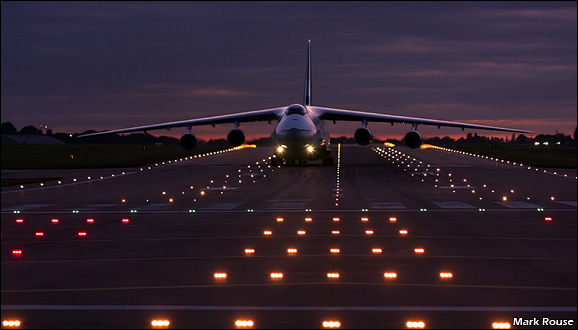 The one that stands out for me though is Mark Rouse's AN124 shot from Brize Norton. He helps his cause with his modesty, describing it as "not that good hand held from top of gate"! Well I think it's a beauty Mark, well done sir - please claim your prize from our DVD range. 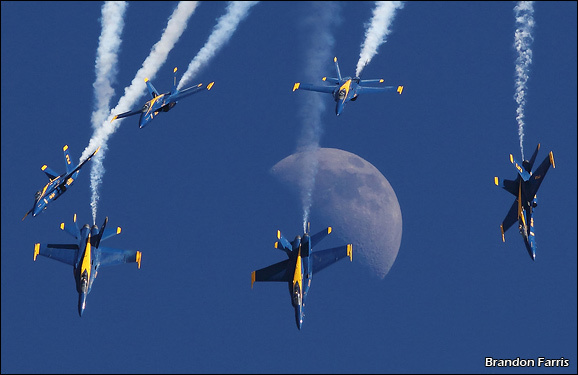 Last month's competition winner, Tim Maycock, selected our Boscombe Down 1990 DVD as reward for his stunning shot from the MAKS show. Tim says the Boscombe event was one of the earliest and favourite shows he attended as a child and he's looking forward to reliving "those ground trembling memories!". We've had a few ground trembling moments of our own this year covering the Vulcan's display for our Vulcan Effect programme. This culminated with the aircraft's final flight of 2009 for the Southport airshow. This was our last chance to record some of the material that had escaped our cameras during the season, particularly onboard mini-cam and air-to-air material. The easy job (from our point of view) of recording mini-cam material had been held up throughout the year. 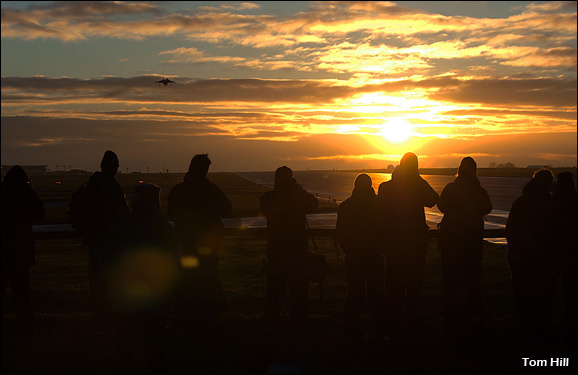 The okay was finally given to fit cameras for the final flight, so this was it - our last chance for the year. Adrian and I fitted three Sony HD mini cams on the Friday before Sunday's flight - one in the AEO position, one with a view forward out of the visual bomb aimer's position and one overlooking the Pilot and Co-Pilot. David would spend Sunday at Lyneham and set the cameras running, whilst Adrian would record the display at Southport from the ground. Air-to-air is more difficult. We had to find someone the Vulcan crew could trust to fly with and a platform able to keep up with the Vulcan and offer good enough visibility to get some useful material. We found our solution with Ultimate High. Mark Greenfield, Ultimate High's Managing Director and Director of Aerospace Training at the ETPS was to be my pilot. I was in good hands! Our camera ship would be one of Ultimate High's Extra 300 aircraft. We briefed at Lyneham where the Vulcan was operating from. After talking through the series of shots I wanted, Mark and I hopped over to Kemble in one of UH's Bulldogs. With my camera kit stowed Mark allowed me to fly the aircraft right through to landing which was a nice warm up for the afternoon's flight. We prepped the 300, Mark taking particular care to ensure the Perspex was as clean as possible. The camera I used for the flight was JVC's latest compact ProHD camera the GY-HM100. The camera is small enough to make it manoeuvrable in the cockpit of a small aircraft and its optical image stabilisation and full HD recording gave me the best chance of getting some steady material. After takeoff we flew north to join with the Vulcan on its return leg south from Southport. We met somewhere south of Telford and first carried out a series of shots whilst formating on the Vulcan culminating in recording some material under the aircraft with the bombay opening and closing. We then switched positions and we took up the lead - Mark doing a remarkable job of keeping the Extra straight and level - not what it was built for! And Vulcan Pilots Kev Rumens and Martin Withers doing a superb job formating on the little Extra as we carried out a series of manoeuvres. The impression of the Vulcan little more than a wingspan away from us was stunning and I had to consciously force myself to turn my head away from my LCD screen to see and enjoy the moment with my own eyes. We ended the sequence with the Vulcan above and in front of us. 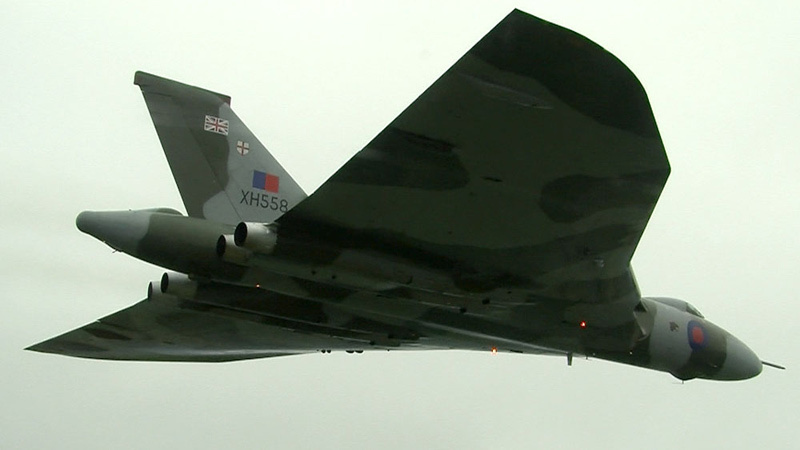 The Vulcan crew took the aircraft to full power and away she went, streaming black smoke and producing an audible roar over the sound of the Extras powerful engine. A fantastic privilege and one that Mark and I thoroughly enjoyed. After a looping break to land at Kemble the day ended with a delicious T-bone steak in Tetbury having learned that all the in-cockpit cameras had worked perfectly and Adrian had recorded some excellent material in Southport. Nope, it doesn't get much better than this! A quick thank you to Dan Butcher for inviting me to contribute to the UKAR guest blogs, I'm looking forward to a monthly rant about our activities here at PlanesTV HQ! As a self confessed addict of the UKAR photography forums, I'm also going to enjoy picking my favourite from the 'month in pictures' section. To the winner each month I'll be offering a choice of DVD from our range of ever popular programmes. The week in pictures feature really brings home the quality and diversity of the photography posted on UKAR, which makes picking a favourite pretty tricky. Standing out for me in August though is Tim Laurence Maycock's beautiful image of the Russian Knights. The tragic accident on the run up to MAKS makes this a very poignant image. The rest of Tim's shots make me feel sick though... well, green with envy. I should introduce myself - PlanesTV was set up originally as 'Aviation Action' by my father in 1989. Since then we've placed on video record over 200 aviation events - I must have a proper count when I get a chance. I've been producing airshow programmes full time for two years and I took on the role of overseeing all our productions last year. My involvement in the company started many years ago though, producing video graphics in my early teens, albeit with the odd spelling mistake (anyone got a copy of Biggin Hill 1996?!) and I first picked up a professional video camera as soon as the old man turned his back. We've had an incredibly busy season in 2009 recording over 20 events, not least because of the activities of that pesky Vulcan whose impressive serviceability and sheer sexiness has got us on the road most summer weekends. It's great to think we've covered all this in the highest possible quality as well. After trialling various HD cameras over the last year or so, we finally made the leap this year. One of the major costs here is in the HD minicams we use to record in-cockpit material. We fit as many as we can over a show weekend and they're not cheap! The results are spectacular though. 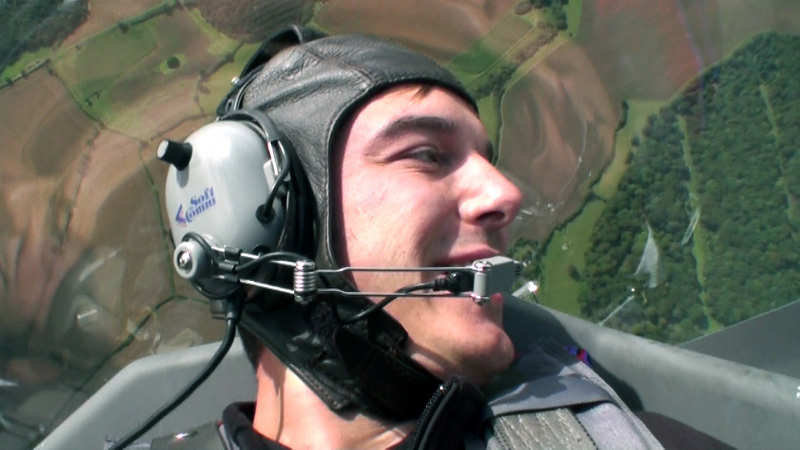 At the recent World Aerobatic Championships I had the fantastic opportunity to fly with former F111 pilot 'Smokey' Young. I couldn't miss the opportunity to get some good aerial views of the action so took one of the little HD minicams along for the ride. The unit makes for an excellent compact handheld camera with the recorder unit tucked away. The bulk of our filming for this year is done now though. It's time for us to concentrate on all the edit work piled up from the season. Thankfully this year I've had two editors who can handle most of the refining work - neither are aircraft fans though so it can get frustrating when you find a 'Spitfire' sequence full of Hurricane! Our last events for the year are Leuchars this weekend and then another trip to the continent to cover Sanicole and Tiger Meet. All look set to be great events, Leuchars might even get some sunshine, here's hoping. Iain Campbell is part of the PlanesTV team that specialises in the production of airshow video programmes. The company started life as 'Aviation Action' when established in 1989 by Iain's father Adrian. 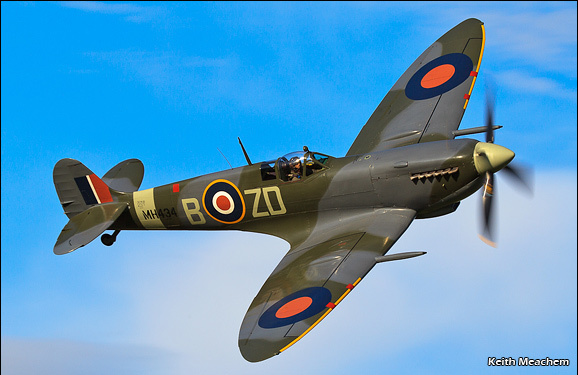 Iain has an enthusiastic appreciation of all things aviation having spent much time during his childhood at airshows in the UK, Europe and USA. Born out of a passion for aviation, PlanesTV's style is to record and present aviation in its purest form and to get material inaccessible to most enthusiasts. Emphasis is placed on making use of high powered telephoto lenses and in-cockpit cameras to get close to the action. Music is kept to a minimum in favour of stereo location sound. Iain has worked for the company from an early age and amassed a wealth of camera and production experience. Since joining PlanesTV full time in 2007 after graduating from university he's overseen an upgrade to High Definition workflow and the introduction of 'On Demand' video content on PlanesTV.com.